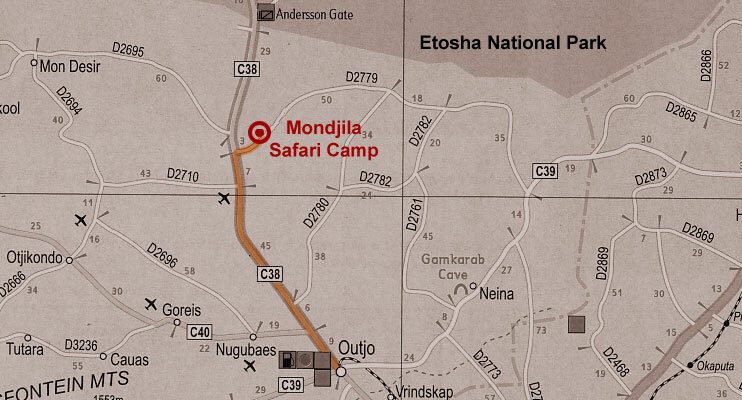 Ombinda Country Lodge is situated approximately 1 kilometre outside of Outjo on the right-hand side of the road. 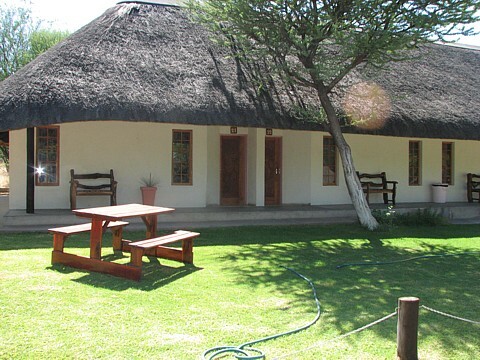 With its lush and lovely gardens with a beautiful swimming pool, the Ombinda Country Lodge is the ideal stopover before heading towards the famous Etosha National Park, the Vingerklip, Petrified Forest and Twyfelfontein. 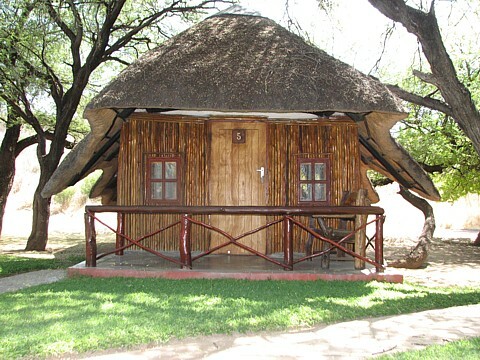 Ombinda Country Lodge offers 16 thatched double bungalows and 4 triple family units for accommodation. 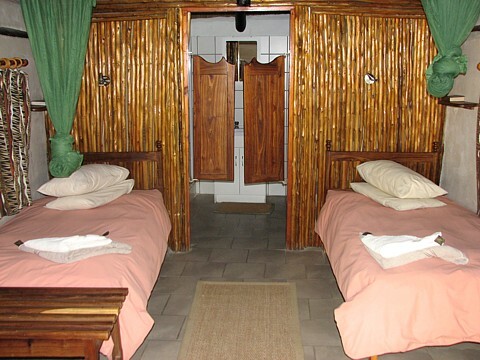 All of the bungalows and rooms have en – suite facilities and are comfortably furnished with indigenous materials. 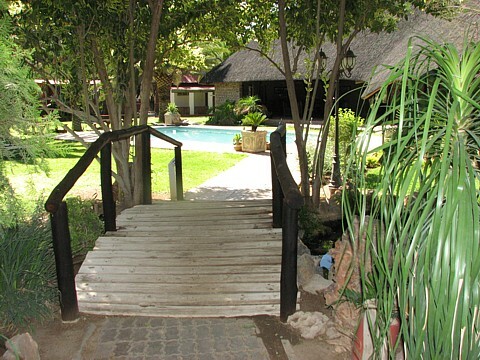 After relaxing around the pool bar with a Sundowner, enjoy excellent cuisine such as buffets, or an a la carte menu in the thatched Lapa. Special Barbecues and Lunches can be organised for groups on request. 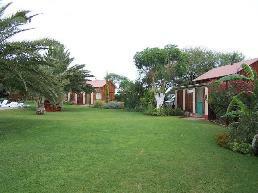 Ombinda Country Lodge offers also camping facilities on grass, equipped with electrical power points. 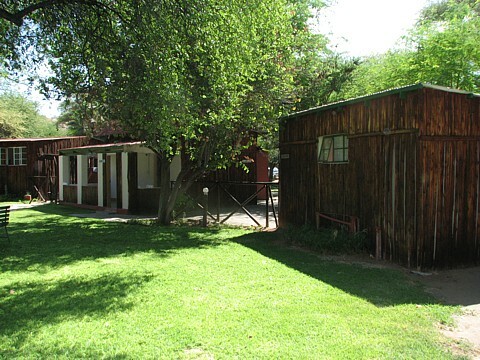 These sites include a laundry, ablution blocks and the use of the restaurant and swimming pool area. For recreation there is a nine-hole golf course and three Tennis courts available. 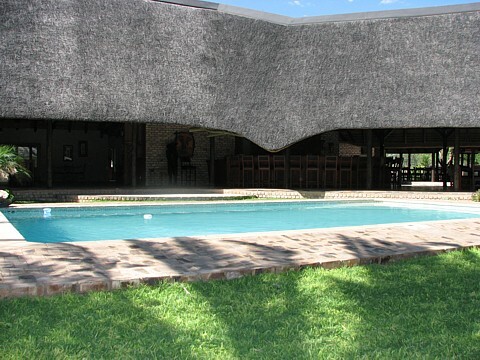 Ombinda Country Lodge also offers conference facilities and caters for functions and weddings as well. All are equipped with en suite bathrooms. Electrical blankets are also available in the cold winter months. 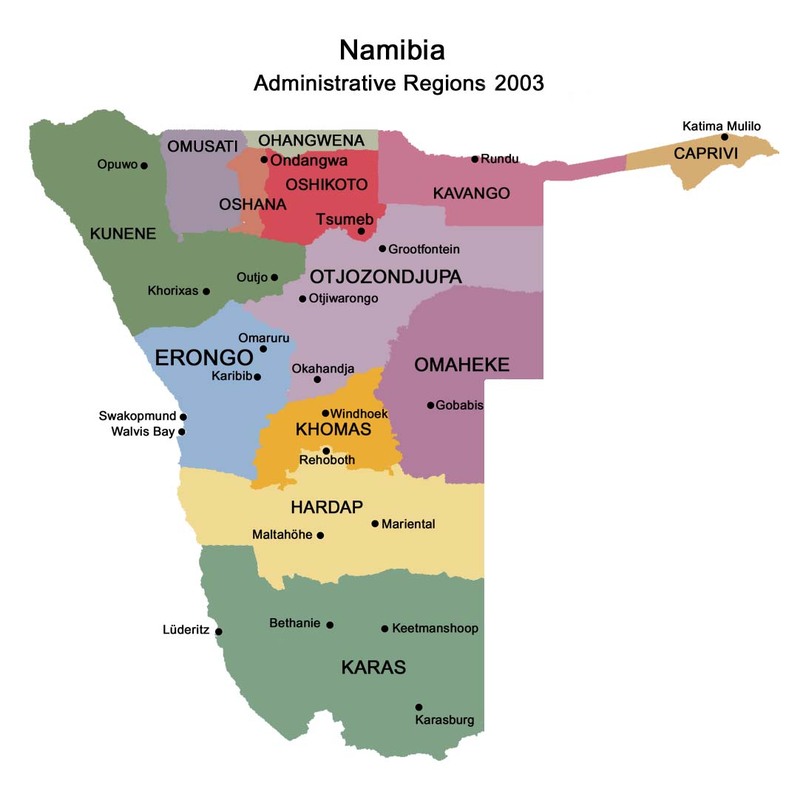 Travel by car: On your journey in the north of Namibia, please drive from Otjiwarongo in the direction of Outjo and Okaukuejo in the Etosha National Park on the C38 approximately 65 km; turn right at the Ombinda Country Lodge gate. After another 500 m you will enter the Ombinda Country Lodge. 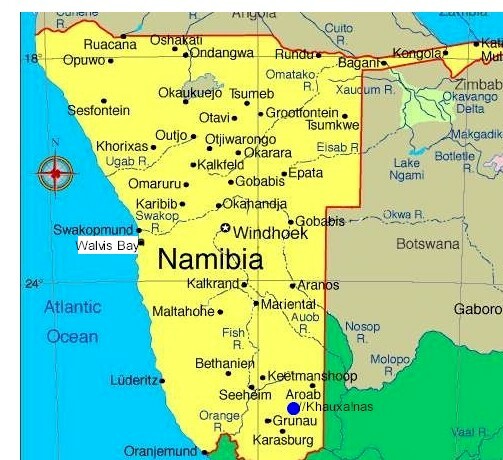 Travel by airplane: When arriving with your own or a charter airplane you can make use of the Outjo landing strip.